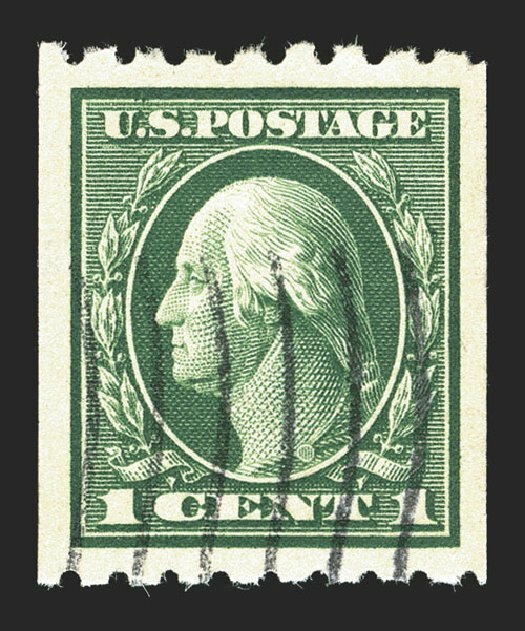 1912, 1¢ green coil (410), guide line pair, black duplex cancellation, wonderfully fresh and choice with bold color, Very Fine, 1991 P.F. certificate. Scott $43. Estimate $75 – 100. Scott #410, 1c Green coil, perf. 8 1/2 horiz., unbelievably large margins for a genuine coil and almost perfectly centered within them, rich color on crisp clean paper, neat wavy line machine cancel, extremely fine; a large-margined gem; 2012 PSE certificate (XF-Sup 95J; SMQ price $170 for 95); one of only two examples to achieve the impressive 95J grade, with none higher. 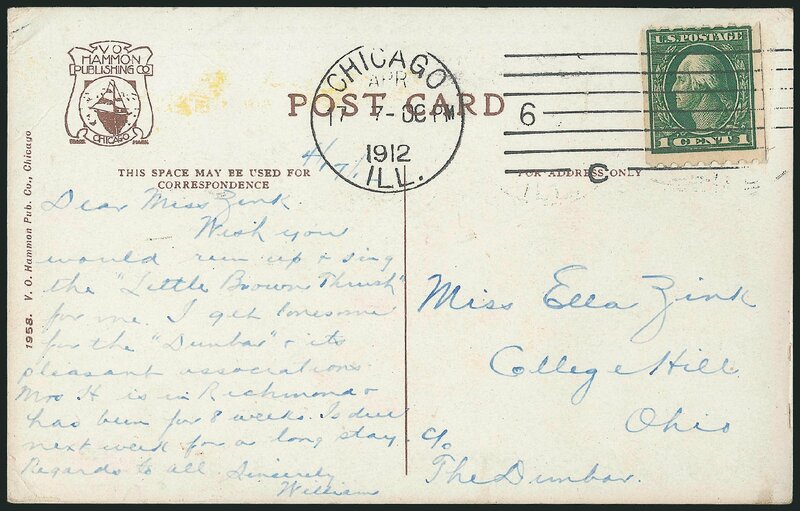 1912, 1¢ green coil (Scott 410), guide line pair, o.g., never hinged, spectacular wide margined line pair, with dazzling color, quite elusive in this remarkable quality, Extremely Fine, 1996 P.F. certificate. Scott $65. Estimate price $100 – 150. 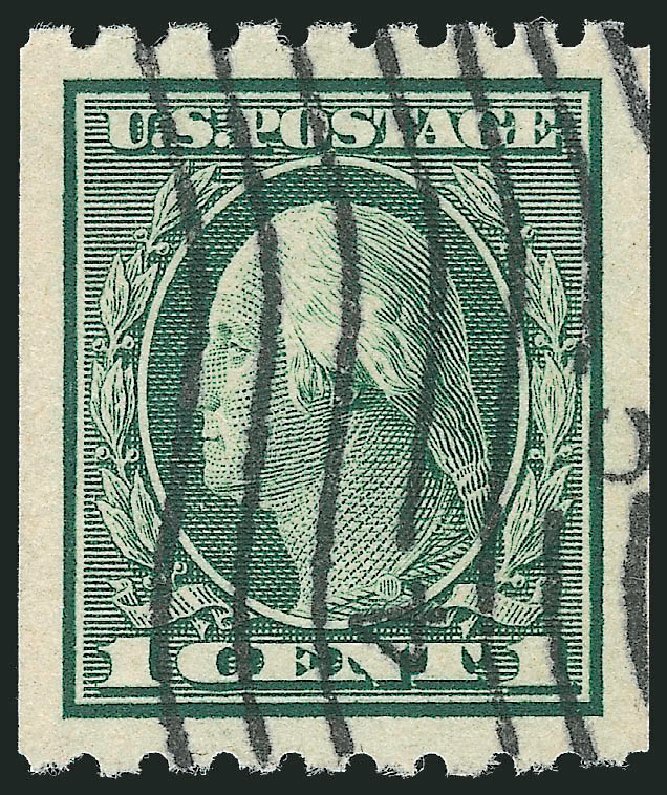 1912, 1¢ green coil (Scott 410), guide line pair, o.g., never hinged, outstanding example with prooflike color and razor sharp impression, extremely elusive line pair when found in this marvelous quality, Extremely Fine, 2006 P.F. certificate. Scott $65 Estimate $100 – 150.